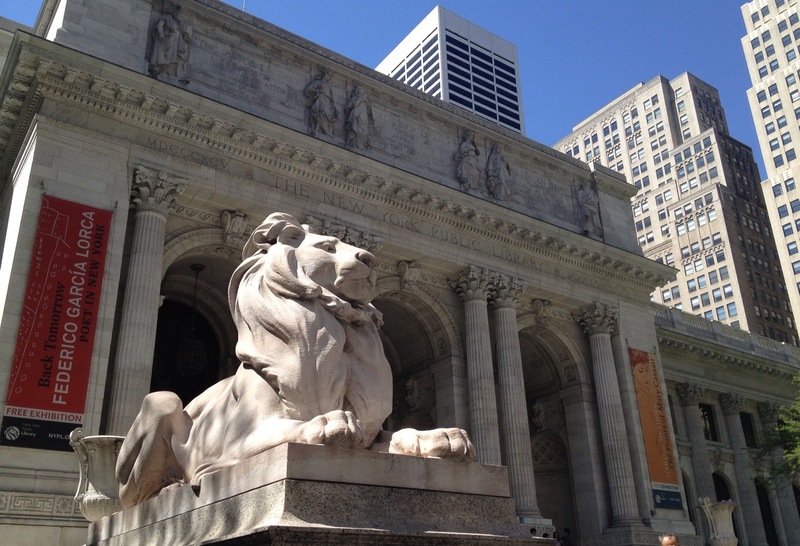 I returned to the Schwarzman Building of the New York Public Library on Sunday to continue digging for a June 1969 article for my author friend in Southern California. This time I was successful, locating the article on reels of New York Post microfilm in about an hour. 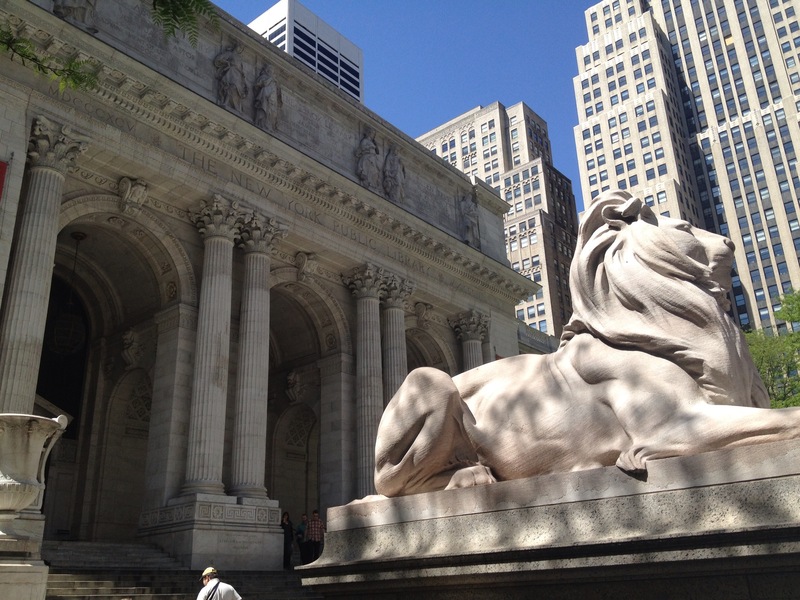 The Deborah, Jonathan F. P., Samuel Priest, and Adam R. Rose Main Reading Room is a majestic public space, measuring 78 feet by 297 feet—roughly the length of two city blocks—and weaving together Old World architectural elegance with modern technology. 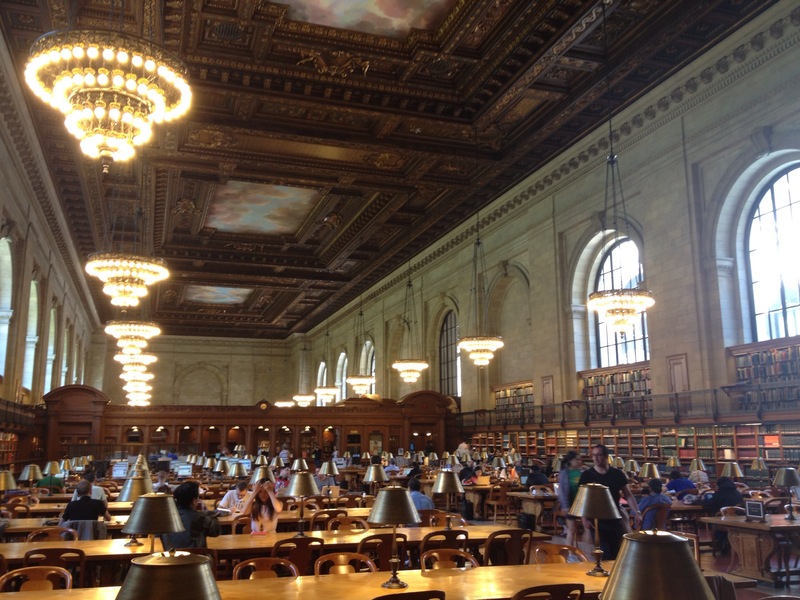 … Here, patrons can read or study at long oak tables lit by elegant bronze lamps, beneath fifty-two foot tall ceilings decorated by dramatic murals of vibrant skies and billowing clouds. 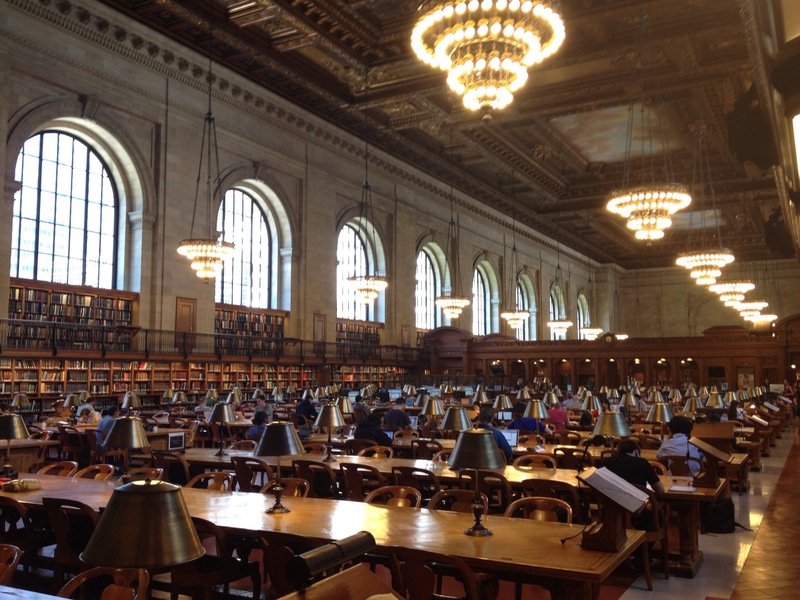 Since the General Research Division’s opening day on May 23, 1911, vast numbers of people have entered the main reading room. Literary figures such as Norman Mailer, Isaac Bashevis Singer, Elizabeth Bishop, E. L. Doctorow, and Alfred Kazin have cited the division as a major resource for their work. As I walked the perimeter of the 297-foot-long room, admiring the ceilings, I couldn’t help but wish I were among those using the tables to read and write on their notebook computers. These people couldn’t ask for a more beautiful space to work. 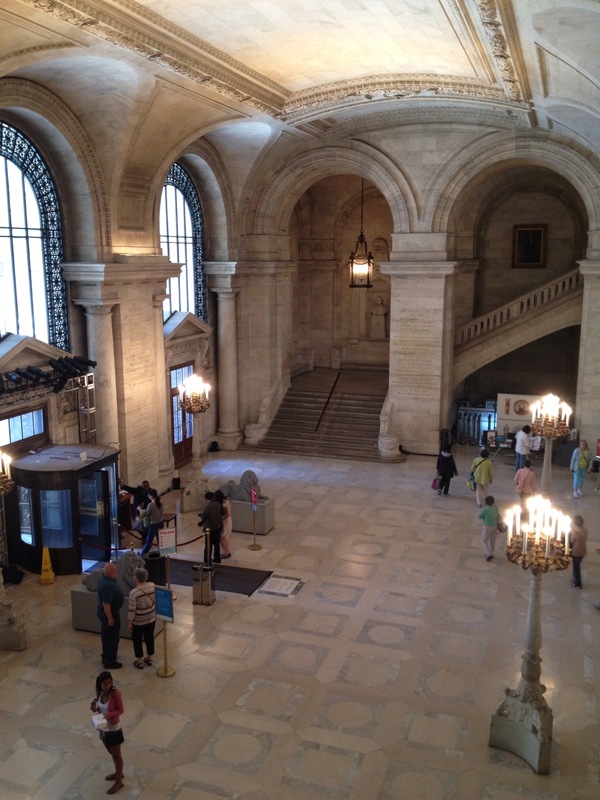 The New York Public Library: The Architecture and Decoration of the Stephen A. Schwarzman Building by Henry Hope Reed and Francis Morrone. Below are a few more photos that I took on Sunday afternoon. 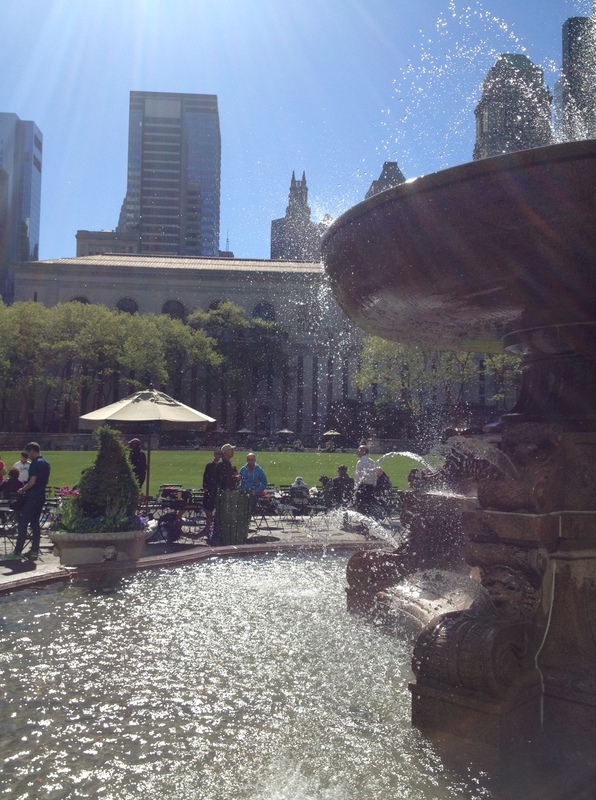 A research trip to the New York Public Library brought me to Bryant Park last Saturday morning. A friend of mine in Southern California who is working on a book hired me to dig up a newspaper article from 1969. 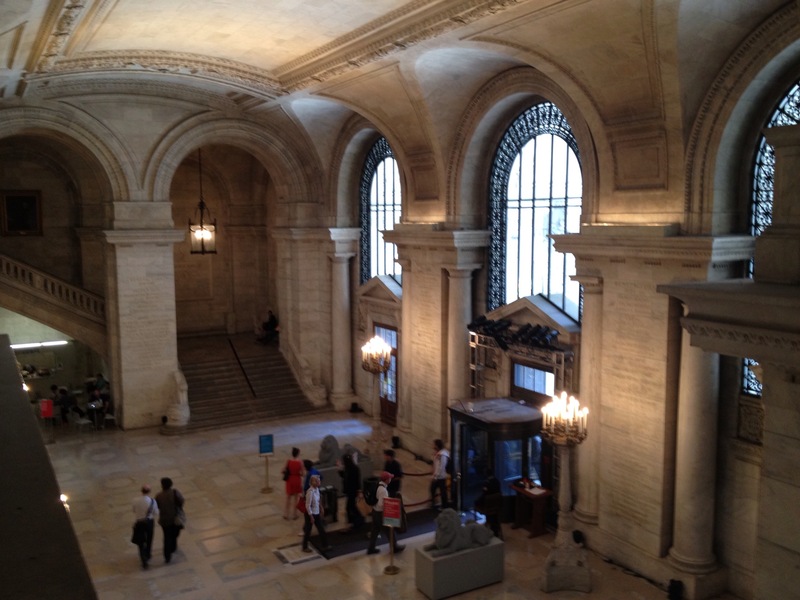 Three hours of scrolling through microfilm of the New York Post and New York Daily News in Room 100 of the Schwarzman Building proved fruitless. But arriving at the library before its 10 a.m. opening offered the opportunity to enjoy Bryant Park and shoot some images while the sun was still low and the crowds still light. 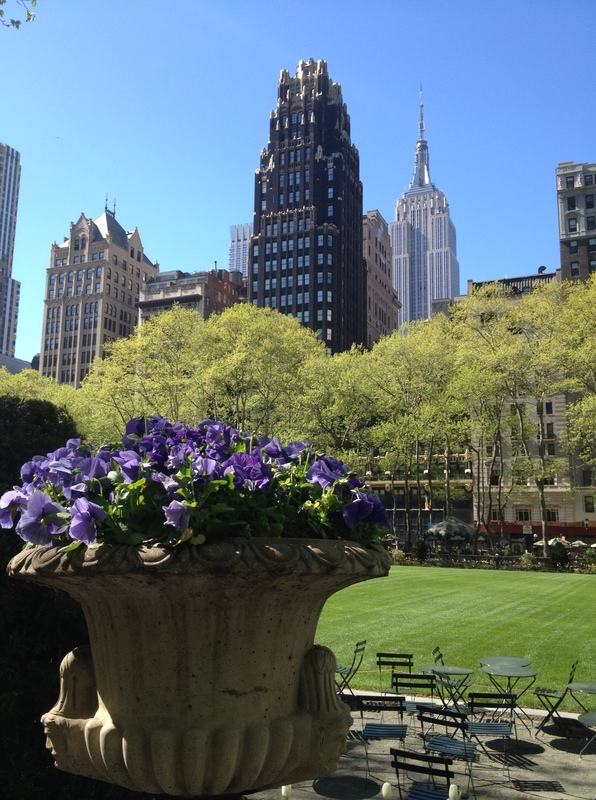 This 9.6-acre space in Midtown has a long and varied history. It has served as a potter’s field (yes, a burial ground), a distributing reservoir with 50-foot high walls (the tops of which formed a promenade), a Crystal Palace Exhibition and an encampment for Union troops during the Civil War. 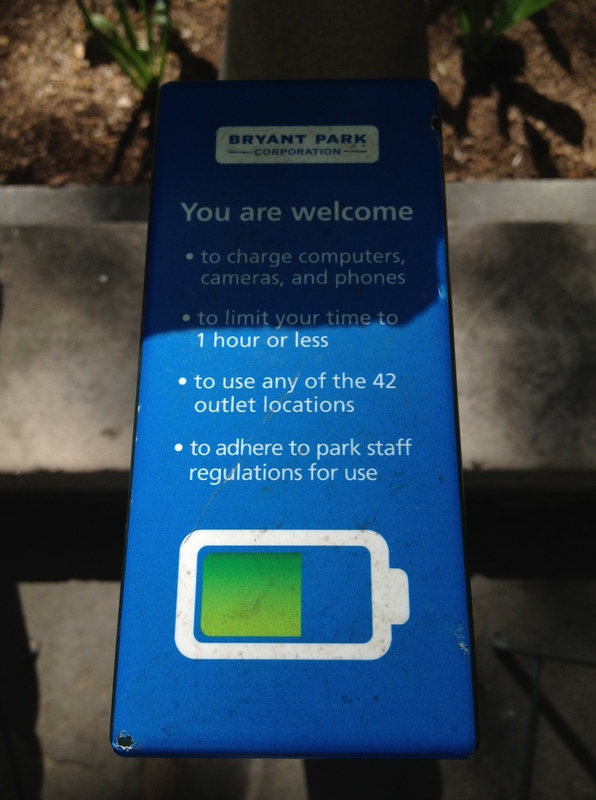 Read more about Bryant Park’s history here. 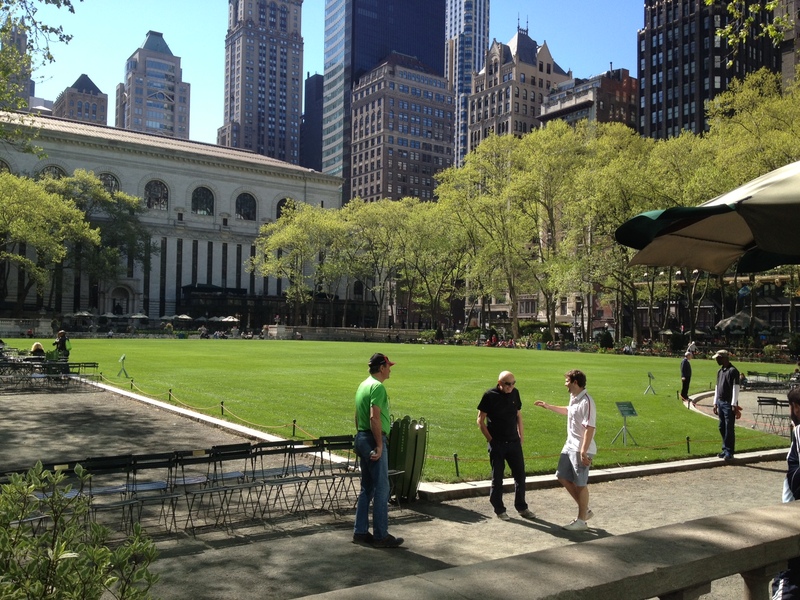 Bryant Park was rebuilt in 1934 under the direction of Robert Moses, Commissioner of the New York City Parks Department. Because of the stacks of the library located beneath it, The park was raised above the surrounding busy streets and conceived of as an “urban sanctuary.” However, this design created isolation —and invited crime. 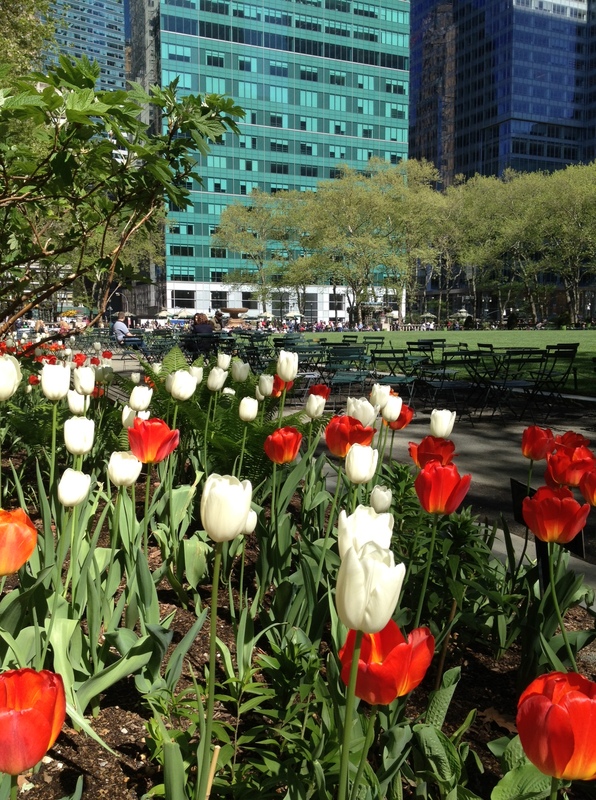 The park grew to become a haven for drug dealing and other negative activities. 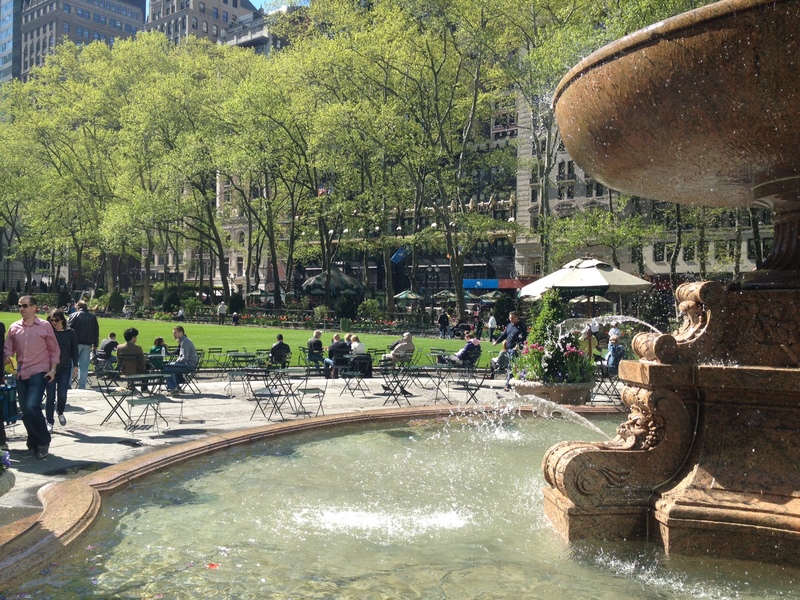 After analysis by urbanologist William H. Whyte and Project for Public Spaces in 1981—their report was titled Intimidation or Recreation—a plan for Bryant Park’s reconstruction was developed. It addressed issues such as opening the park’s constricted entrances and removing hedges along its perimeter so that people could more easily view the interior from the sidewalk, and adding semi-commercial uses such as a food and beverage kiosks and a ticket stand. While construction began in 1982, it was not completed until ten years later.